We have long talked about reading our mags on the iPad. 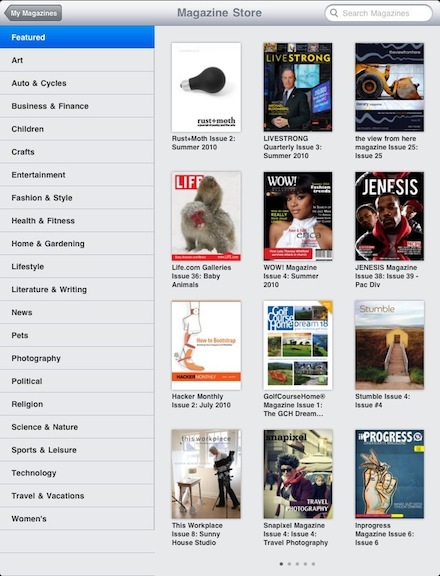 Whether that is Wired via it’s own special app or the many you can access through Zinio subscriptions. Both have their own business model of providing magazines for you to buy and read either one at a time or a yearly subscription. Each has their own way of presenting the magazine as well, with Wired you download the full magazine content and Zinio gives you low resolution images unless you have internet access to update the one your viewing. Another company that distributes magazines is MagCloud. 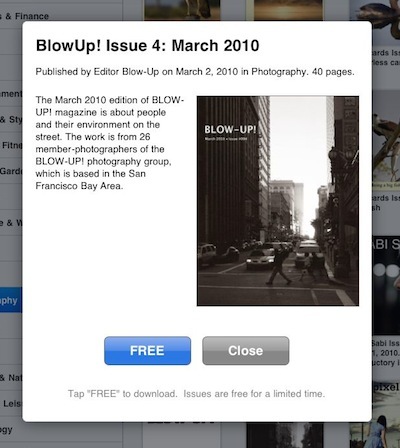 Their business model is allowing anyone to create a magazine via uploading the creator’s files. The end result is printed just-in-time for anyone who orders a copy. Great for small run magazines or new to the industry start ups. A nice option is to also create a magazine that isn’t available to the public if you wish to order/distribute to family and friends only. To jump into the iPad market, MagCloud is allowing magazine creators to check a box that makes the magazine available electronically via their iPad app. Currently, there is no way for the system to charge for that magazine so some folks are using it just to get their name out. We see a very limited quantity of options available through the app compared to what is available to buy on the Web site but still it’s a nice option to start getting used to using. 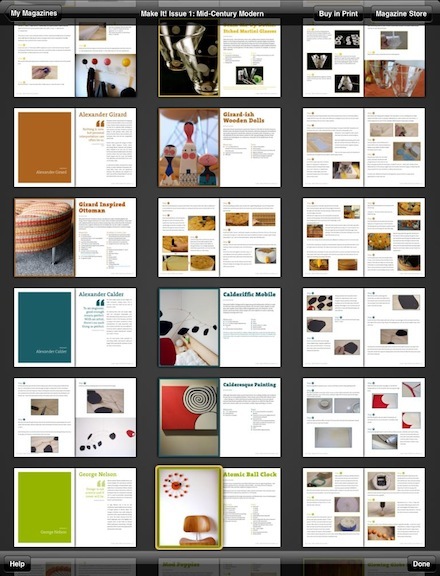 Selecting a magazine cover brings up a window that shows additional information. 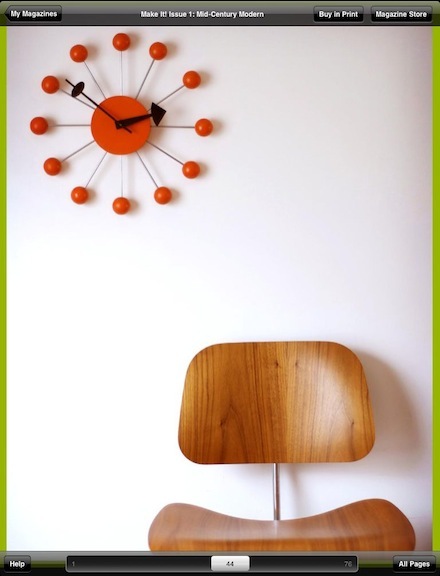 For now you can ‘close’ the window of download the magazine via the ‘free’ button. 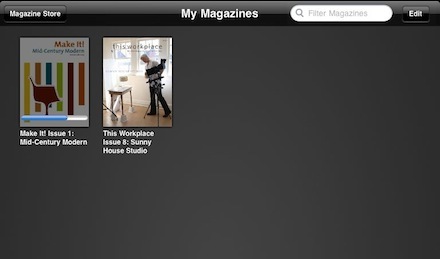 “My Magazines” shows all of the magazines you have loaded as well shows progress of ones your downloading. The magazines have to download entirely before they can be viewed. We hit a lot of magazines that tried to download and failed… which might be authors changing their mind about offering their product through the iPad or the back end MagCloud site getting hit with all of the additional iPad traffic. Pages of the magazine are full screen and are clear to read. You can move a page at a time or use the slider at the bottom to jump forward/back. Along the top of every screen within a magazine is the option to Buy the Print version of the magazine. As well, to visit the store to see other magazines or return the list of magazines you have already loaded onto your iPad. From the page view of a magazine, you can choose to view ‘All Pages’ which takes you to a thumbnail view to move through and choose pages to jump to. While the ‘free’ versions are nice, we hope they have a solution to sell magazines in iPad form soon so we can pick up all of those that are not in the current stack that we have an interest in. And, we might just add one of our magazines to the list of options.